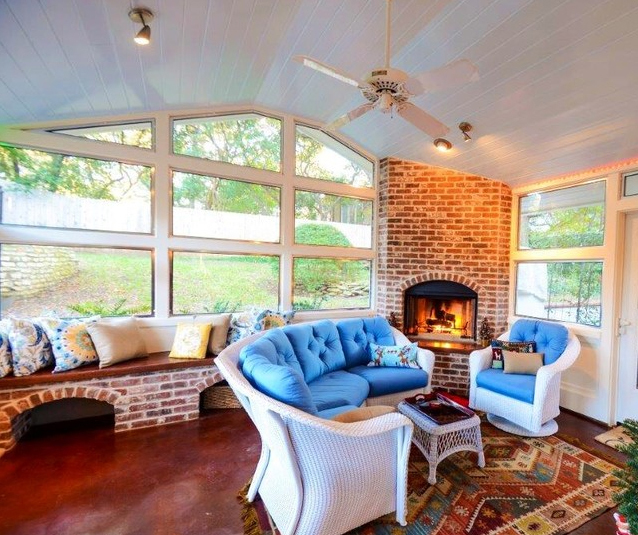 An East Coast style 3-seasons room and patio addition for a Southwest Austin residence. 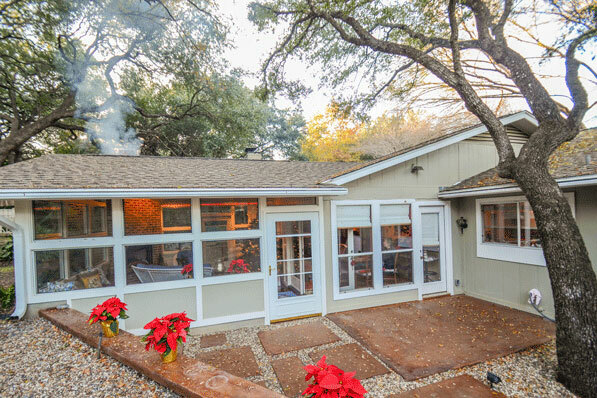 An East Coast style 3-seasons room and patio addition for a Southwest Austin residence. 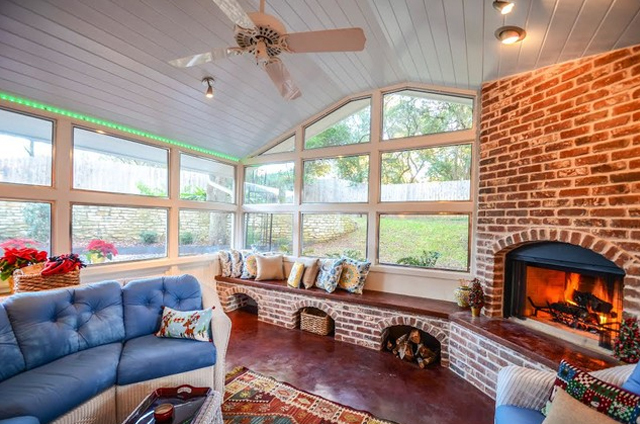 A busy communications executive wanted to have a creative 'time-out' space that could function as both a screened-in porch and a glassed in space with an outdoor fireplace. We worked together to create a private yet open, light-filled outdoor room that could serve both entertaining and everyday living needs. The patio acts as a subtle extension of the space. 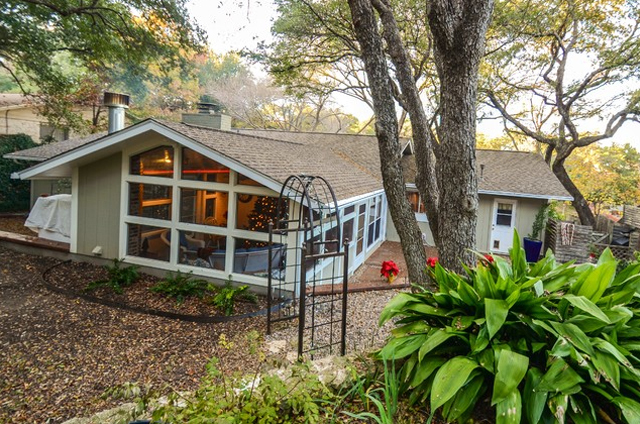 Both areas take advantage of her mature Live Oaks and natural landscaping.